We are HUGE fans of the LeapFrog learning toys. We have been buying LeapFrog products since my daughter was a baby, but I have loved them well before that. LeapFrog has helped my daughter learn letters and numbers in fun and exciting ways. As part of the LeapFrog Mom Squad, I get to test out products, share my thoughts, and gain valuable information about the brand that I get to share with all of you! 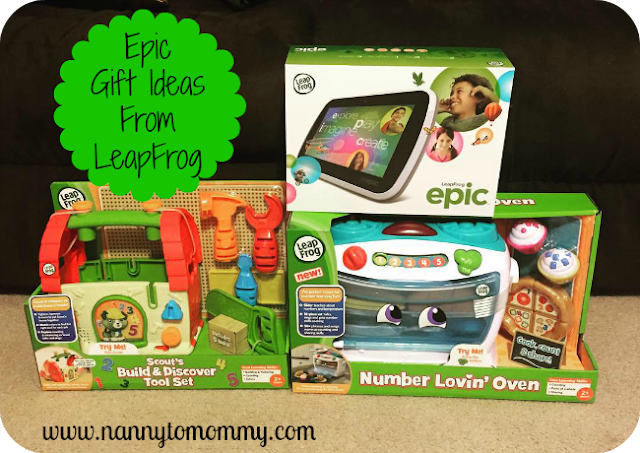 I recently shared my post about the new LeapFrog Epic and now I'm excited to share the new Number Lovin' Oven and have even included it in my Holiday Gift Guide. With the LeapFrog Number Lovin' Oven , little chefs can enjoy hours of pretend-play fun with learning secretly baked in. 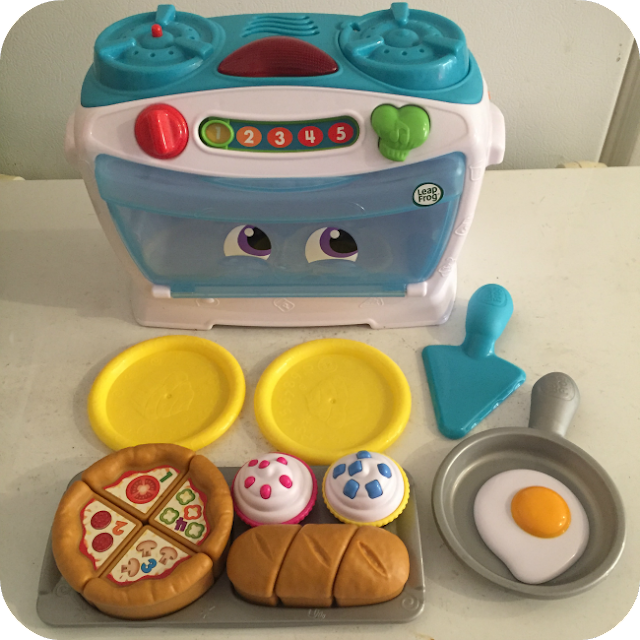 Designed for ages 2 years and up, the Number Lovin' Oven talks, sings and gets number skills cooking through 30+ songs and phrases. With 16 fun ingredients and so many ways to play and explore, the Number Lovin' Oven offers the perfect recipe for teaching counting, sharing, parts of a whole, and more. The Number Lovin' Oven is full of fun surprises that nourish number sense. Little ones can move the number slider to practice number recognition, learn about cooking times and temperature. Phrases about sharing help children develop a sense of dividing into equal parts and parts that make up a whole. 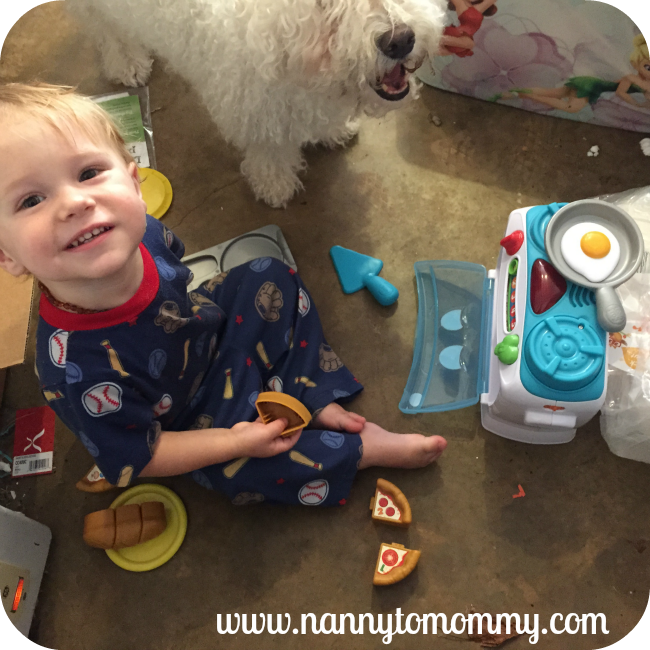 By integrating these concepts into engaging play, the Number Lovin' Oven offers a fun and easy way to prepare children for preschool and beyond. Playing in the messy garage. LeapFrog continually creates new and innovative educational learning toys that your children are sure to enjoy. Make sure to follow them on Facebook, Twitter, YouTube, Instagram, and Pinterest to stay up to date about new products, plus they always share awesome free printables and fun contests as well! What do you think of the Number Lovin' Oven by LeapFrog? As a LeapFrog Mom Ambassador, I receive products, promotional items and educational material to use and share as I see fit. However, any opinions expressed by me are honest and reflect my actual experience. This post contains affiliate links. This product has been included in our 2015 Holiday Gift Guide, if you would like to see your product featured please feel free to contact us. The kids love LeapFrog! It must be awesome being a LeapFrog Mom Ambassador. Your son looks like he is having lots of fun. We love Leapfrog at our house. This looks adorable! Learning toys are my fave. I think this would be perfect for my 2 year old. That is so neat. I love Leapfrog, but hadn't seen the oven. The kids can learn While you play with them, and they have fun. It is more interactive with real toys! Tool Set. I would love to get it for my 2 year old son. He would have so much fun. Thanks for sharing. That oven would be perfect for my daughter who is in pre-k. She is learning numbers and how to add! I am definitely going to check this out for her.